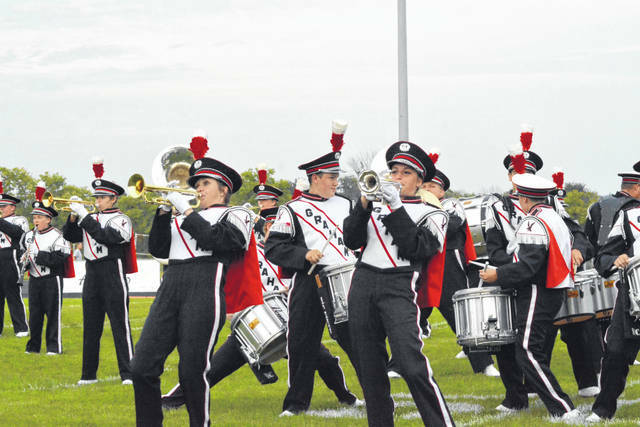 The Dancin’ Band from Falconland will host four local high school marching bands and several others from around the state during the 47th Annual Graham Band Festival on Sept. 22 at Dallas Stadium. ST. PARIS – The 47th Annual Graham Band Festival will be held Saturday, Sept. 22 at the high school’s Dallas Stadium. Parade of Bands begins at 6:30 p.m. and the festival begins at 7 p.m. This year’s festival features the following Champaign County bands: Graham, Urbana, West Liberty-Salem and Mechanicsburg. Additional bands from around the state include: Springfield High School, Western Brown High School, Miami East High School, Mt. Healthy High School, Wheelersburg High School, Paint Valley High School and Little Miami High School. This year, the Dancin’ Band from Falconland is pleased to welcome back former director, Jeff Buell – who has been acting as the interim director of bands this year. Admission to the festival is $6 for attendees who are age 5 years and older. Retired and active military are free with a military ID. Information from Graham Band Parents organization.